Major element chemistry of amphibolites and quartzo-feldspathic gneisses from the Precambrian Dyrskard Group indicates a volcanic origin of these rocks. Geochemical variations of the felsic metavolcanics are geographically determined; with dacitic rocks occurring around Stavsnuten and rhyoletic (potassic keratophyres) rocks in the Langevatnet area. The amphibolites are classified as sub-alkaline tholeiites. Discriminant diagrams indicate within plate basalts, probably generated beneath the continental crust. 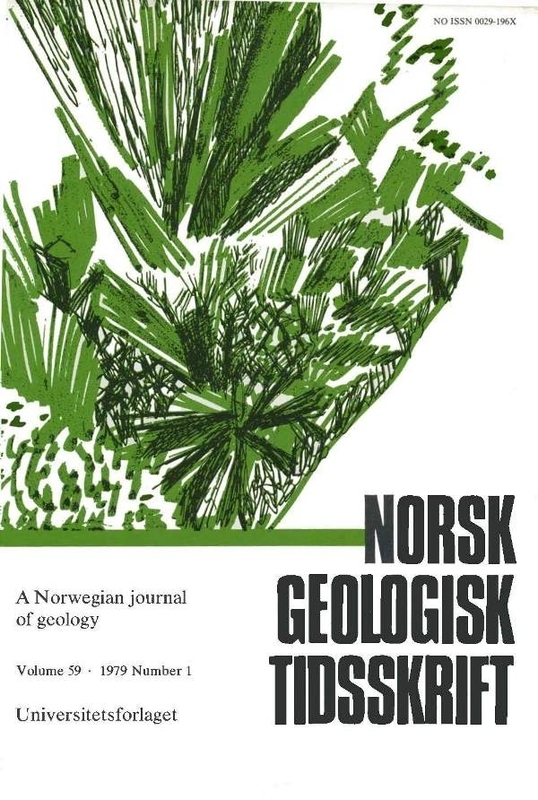 It is suggested on the basis of the bimodal volcanism (basaltrhyolite), sedimentary facies, and the presence of within plate basalts, that the supracrustal rocks of the Dyrskard Group are related to tensional tectonics of the continental crust.